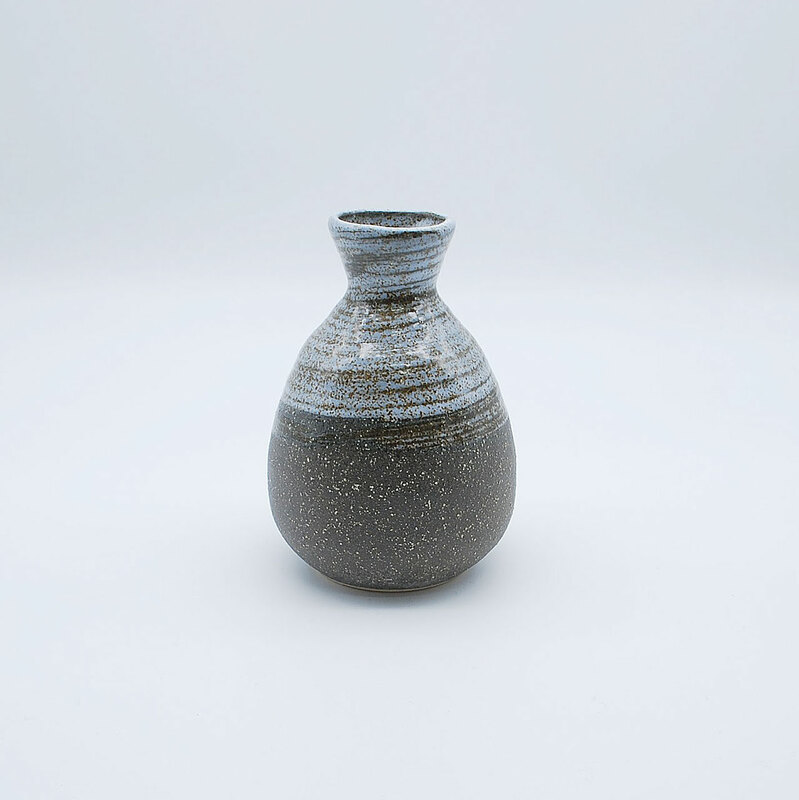 Sake bottle made with off white clay molded in discrete horizontal lines. 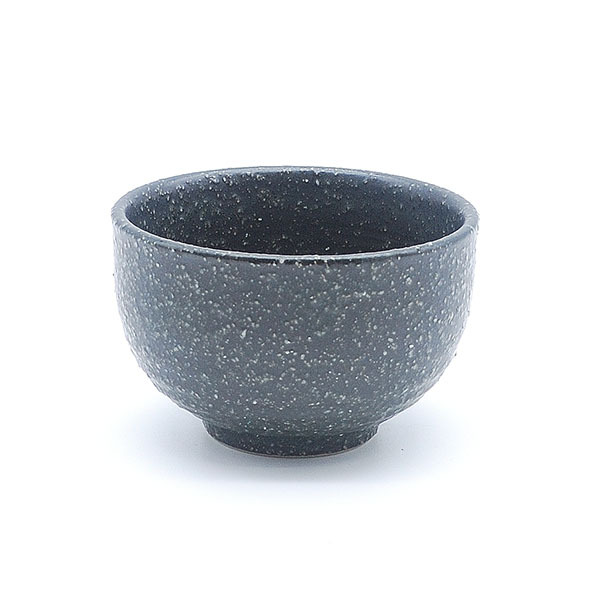 The body was finished in opaque dark gray with black freckles and a smooth texture, which contrasts with the royal blue, gloss glazed top. 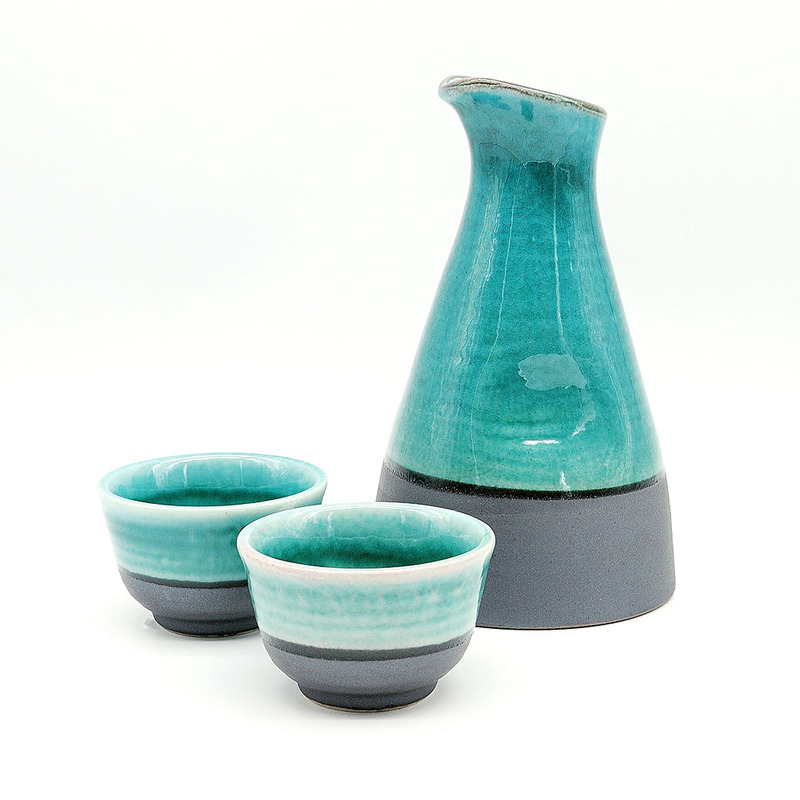 Set of bottle and two cups with the same pattern. 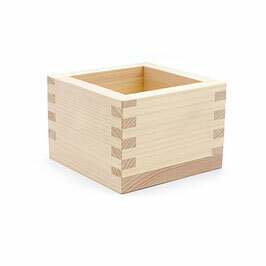 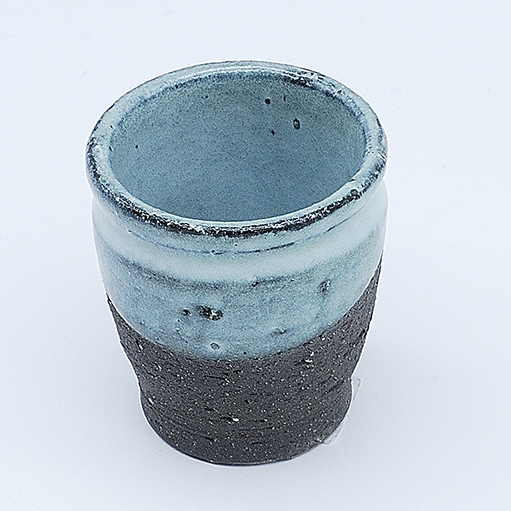 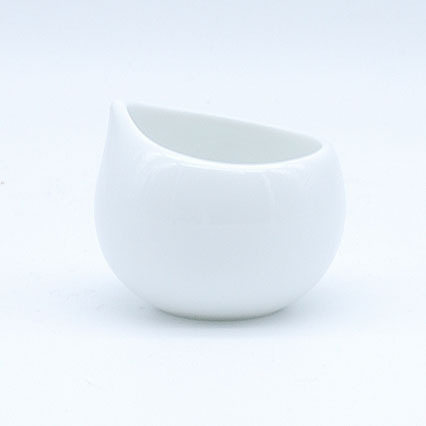 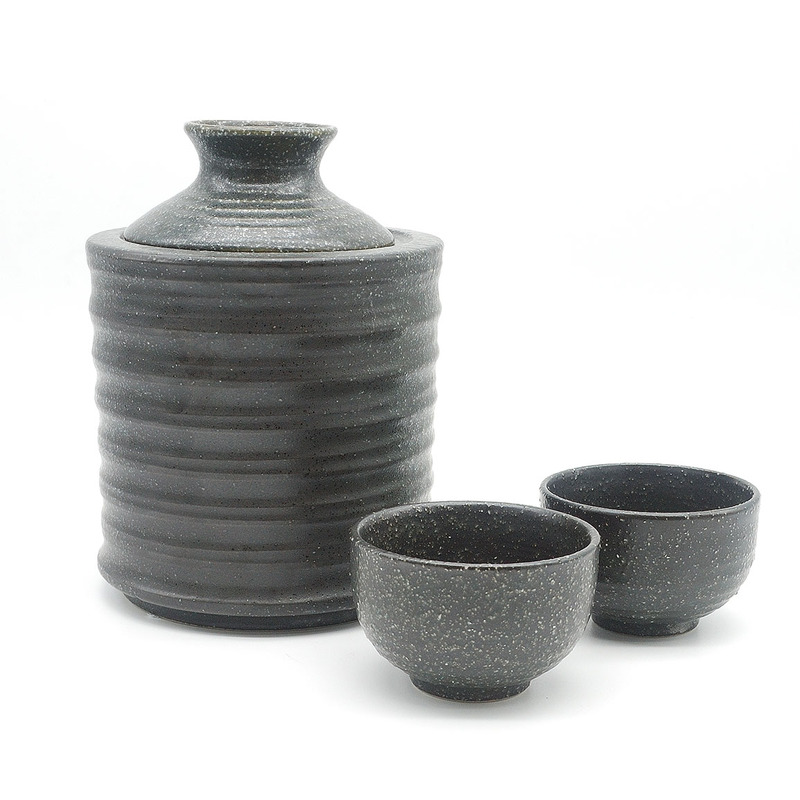 One of our best seller, this sake bottle has an irregular rim, which gives it an organic feel. 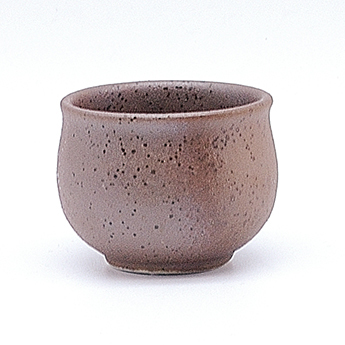 The bottom is dark grey/brown and has coarse texture, in contrast to the top, glazed with white gloss in a brush-like finish. Set of bottle and two cups with the same pattern. 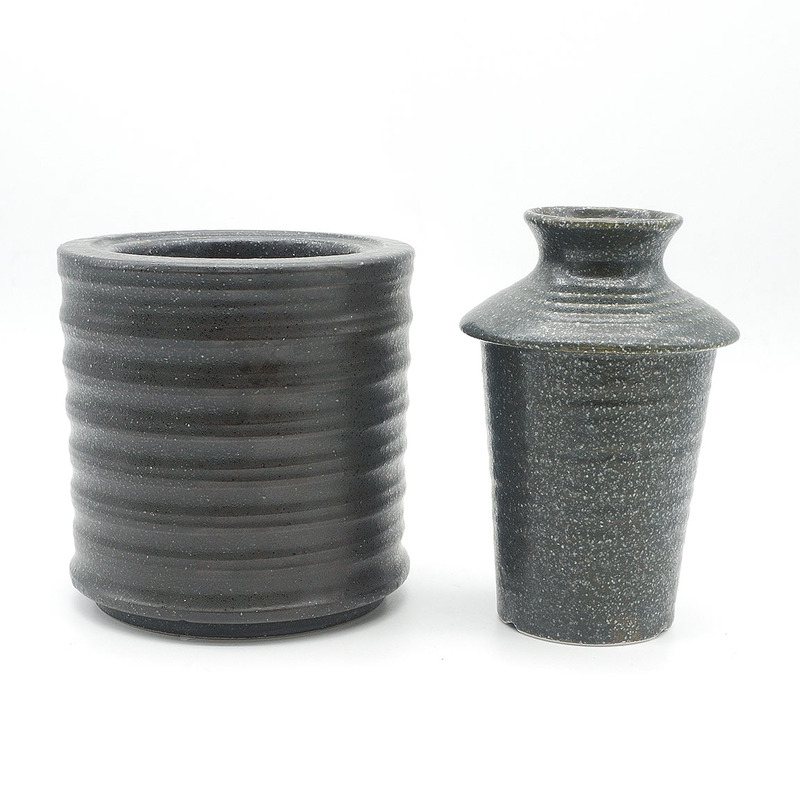 Unique sake bottle with concave detail for anatomic grip. It has fine lines and a rustic feel, thanks to the grainy texture of the clay. 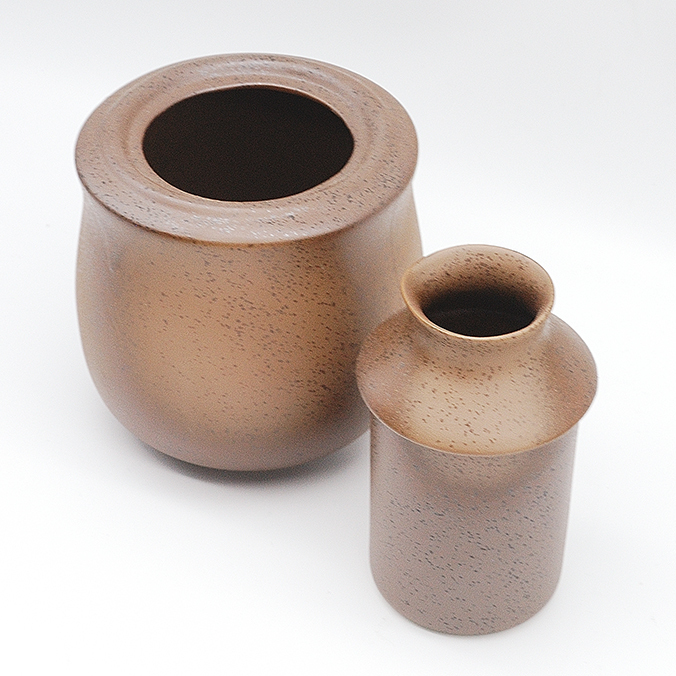 Available in earthy brown colour with pale patches. Set of bottle and two cups with the same pattern. 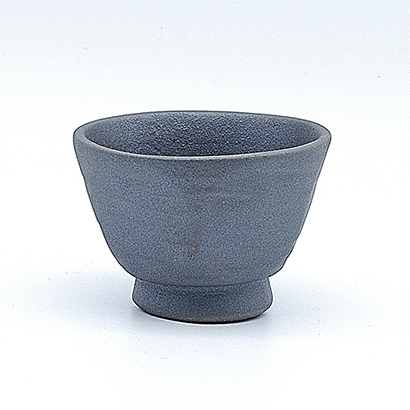 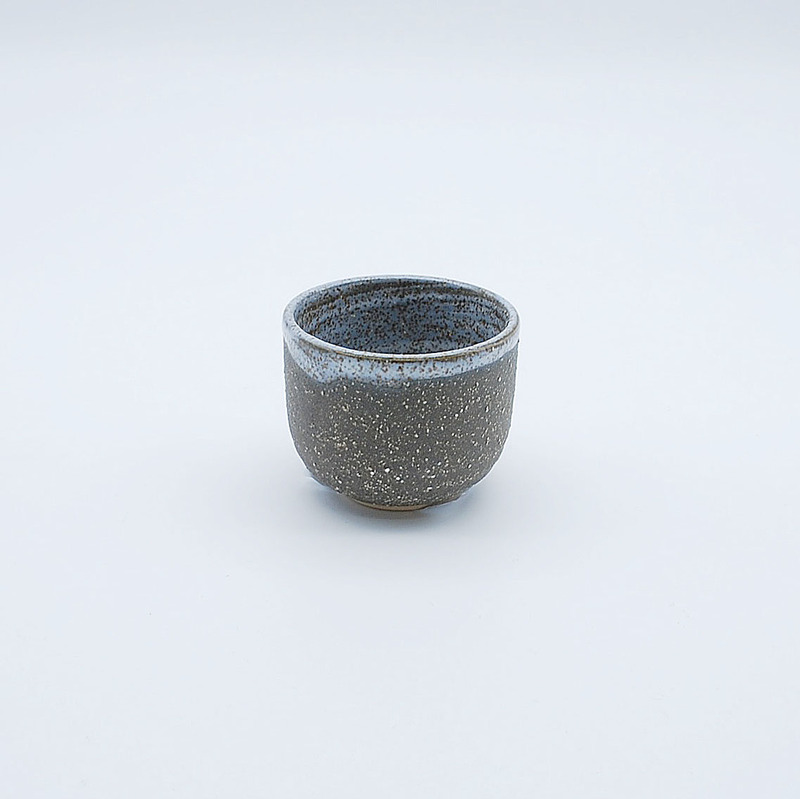 This sake set looks simple and masculine yet has detailed design. Polygonal bottle and cup shapes as if scraped-off, gives a organic feel. . 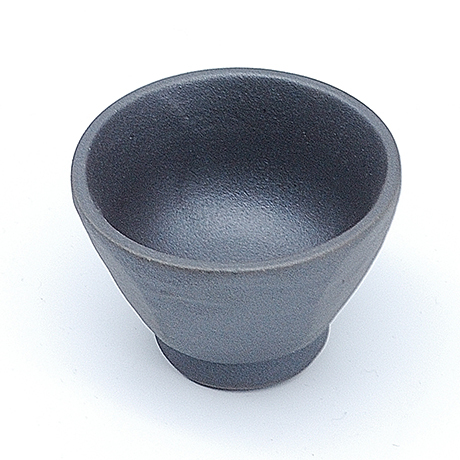 Available in silvery dark gray sheen. 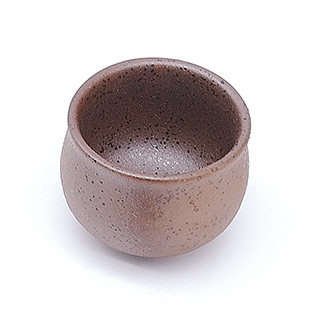 It has a very fine sand-like texture. 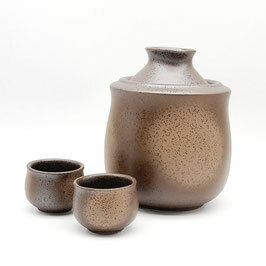 Set of bottle and two cups with the same pattern. 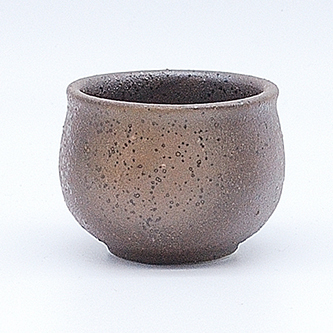 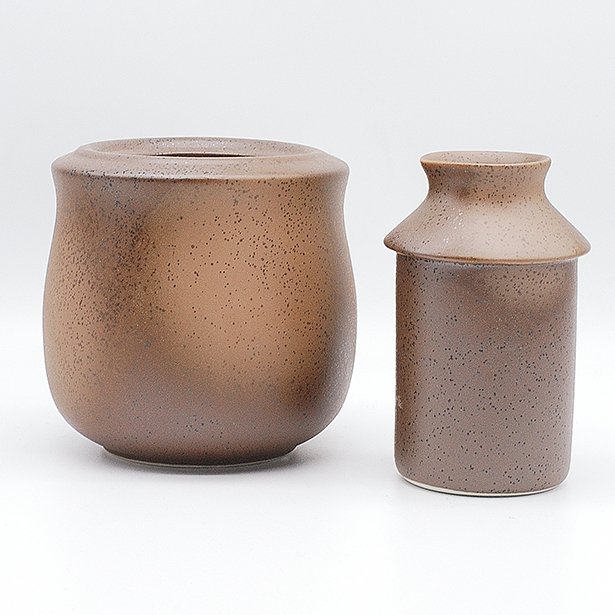 Sake bottle made with brown clay molded in anatomic shape. 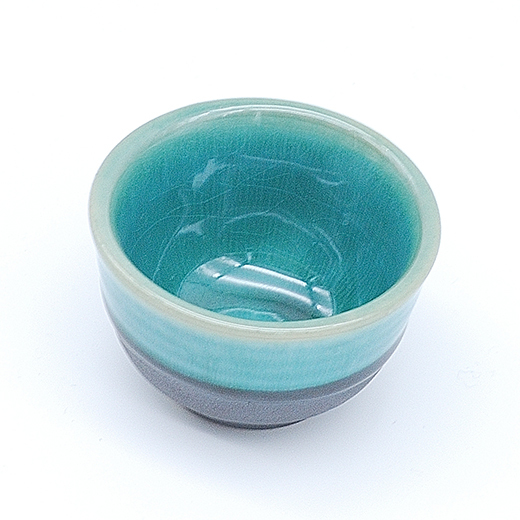 The bottom is silver gray and has a fine sand-like texture, which contrasts with the turquoise gloss glazed top. Set of bottle and two cups with the same pattern. You will love the Sandy Black with Snow sake set (comes with 2 cups). 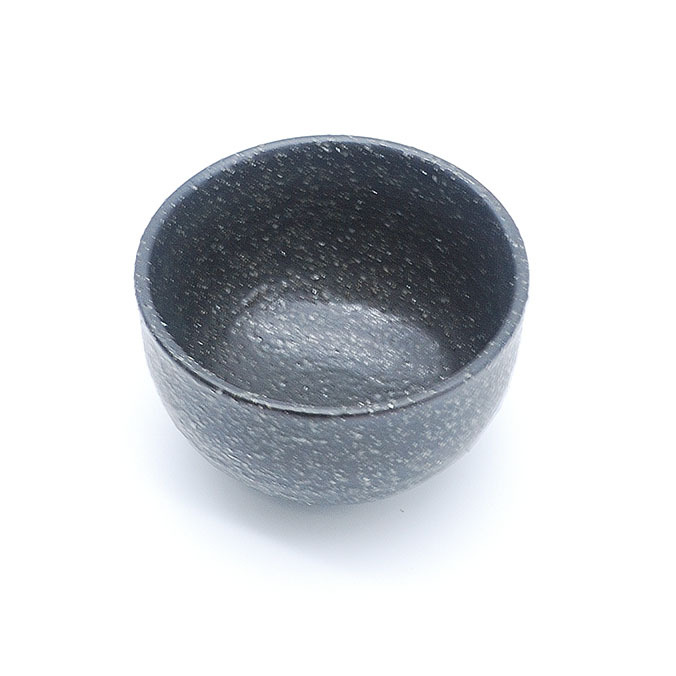 Its base has a coarse texture and is black but the top is glossy and smooth and is white. 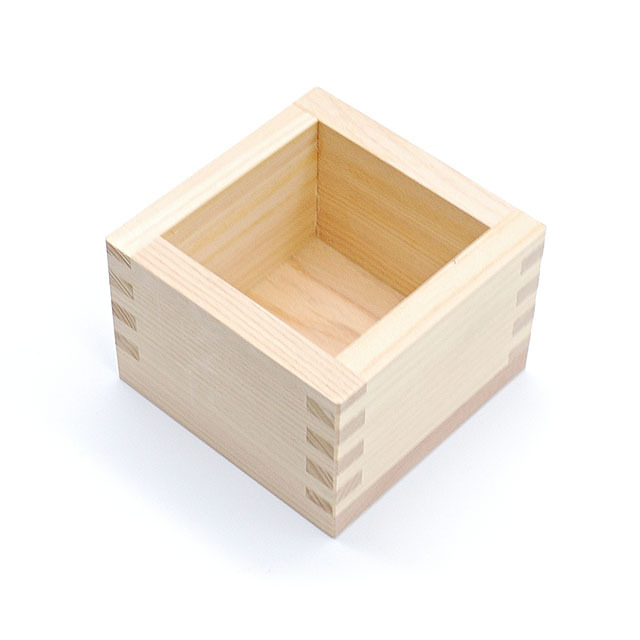 This complimentary makes it look unique. 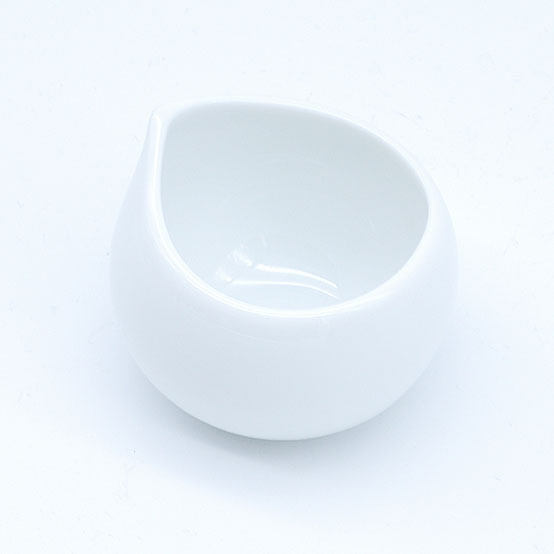 Its body has a slight fold on each side giving it an extra grip when you hold it. 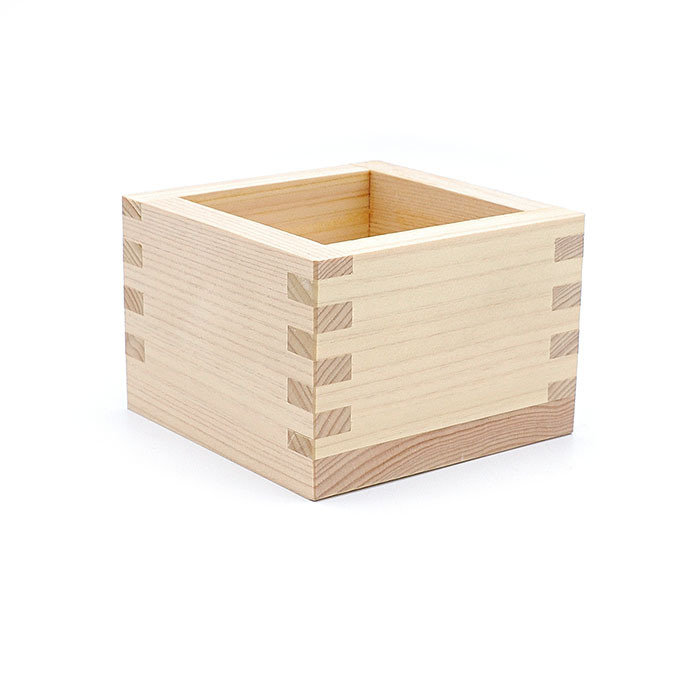 Exquisite sake with unique design and made with sustainable material (bamboo). 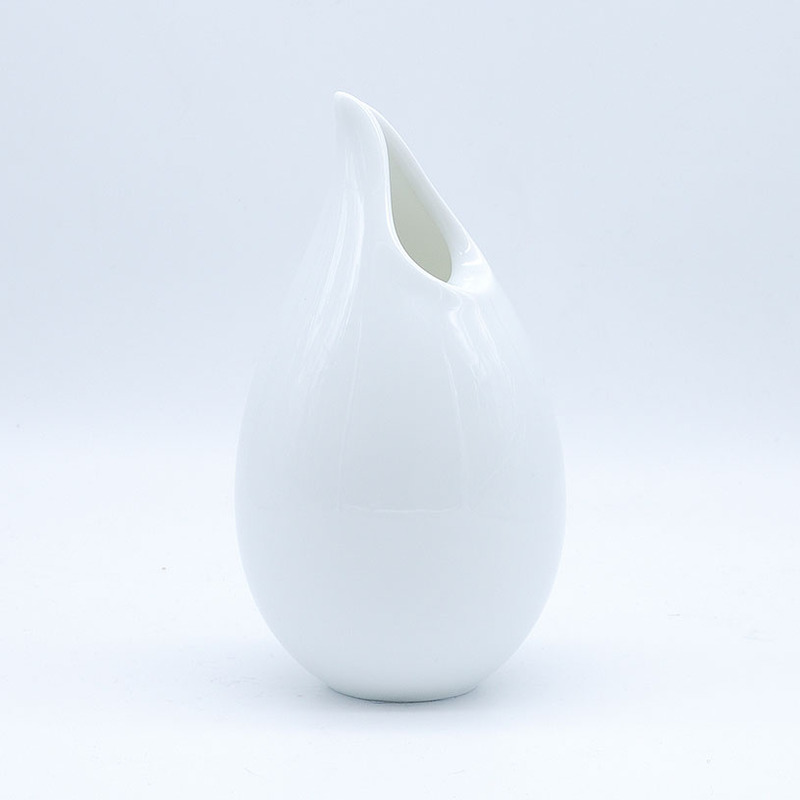 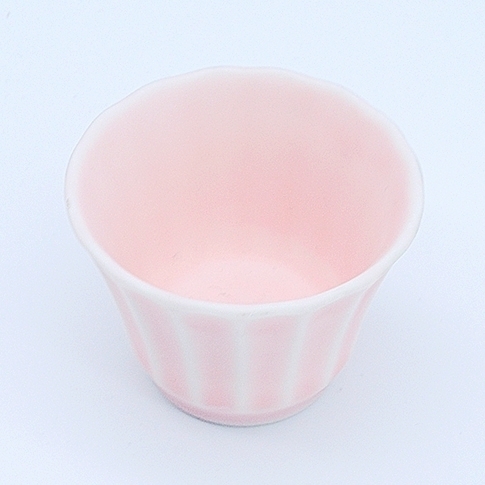 Carefully shaped, it has a convenient spout which prevents spilling. 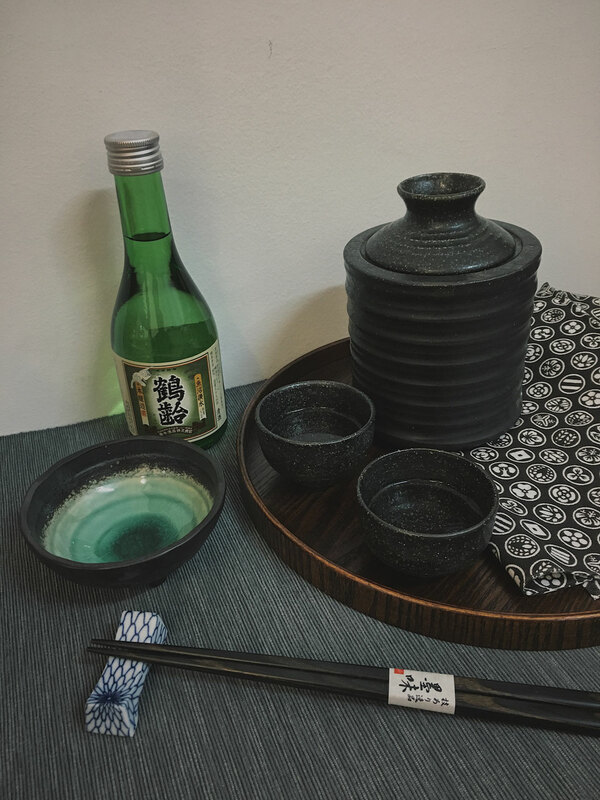 Its natural rustic style pairs perfectly with the best sakes. 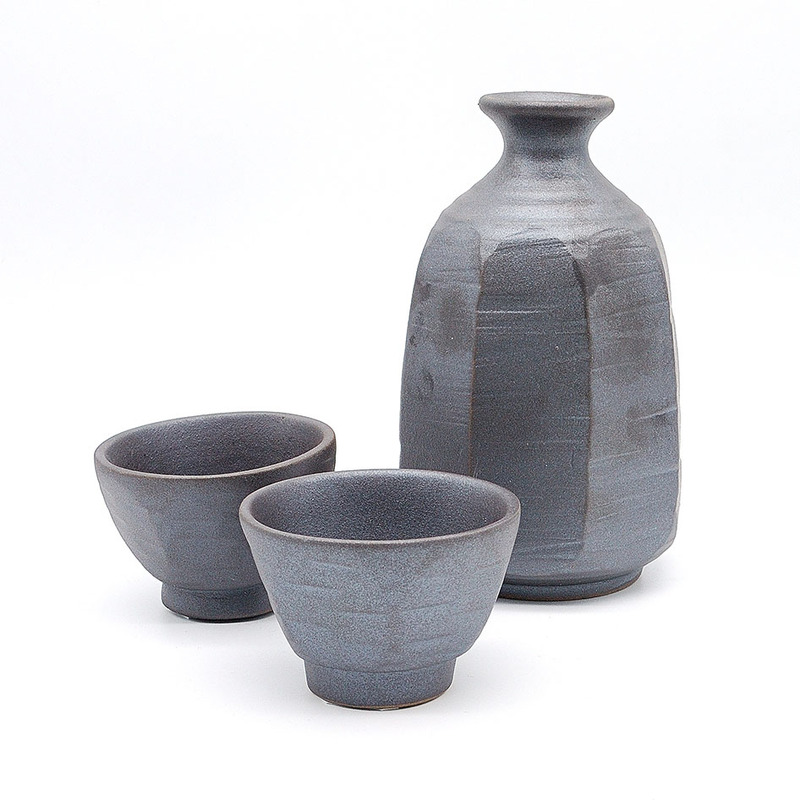 Large set with two bamboo cups. 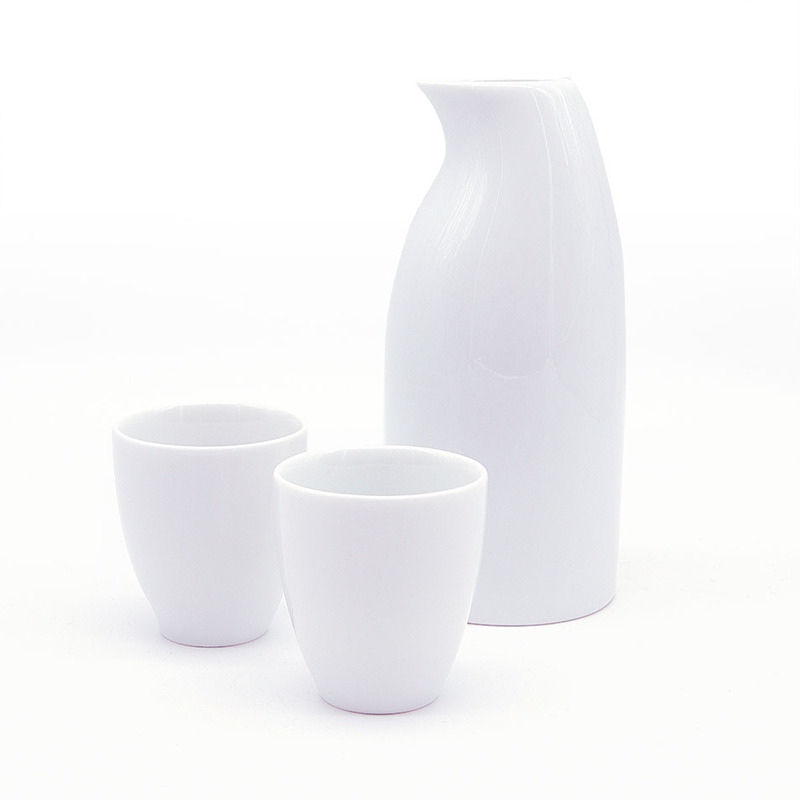 "PENGUIN" series sake servers and cups received the "GOOD DESIGN AWARD" in 2015. 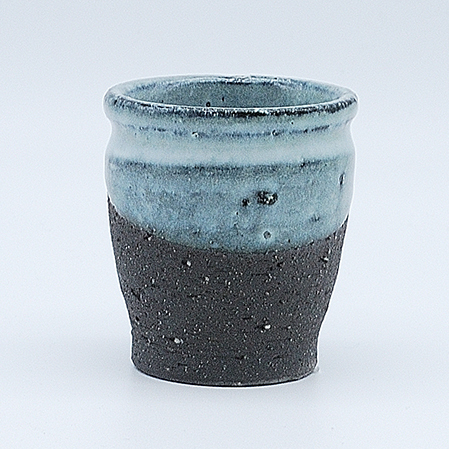 This sake cup pair set is carefully handmade by glass artisans in Aomori, Japan. 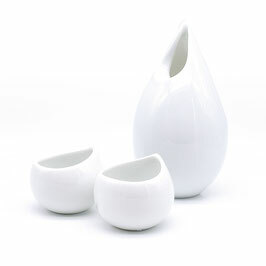 This will make your drink moment more special. 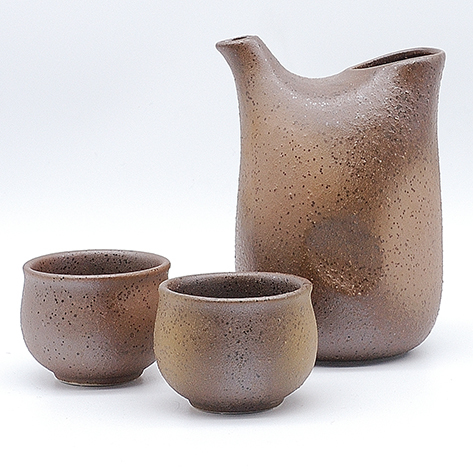 Set of a server and two cups. 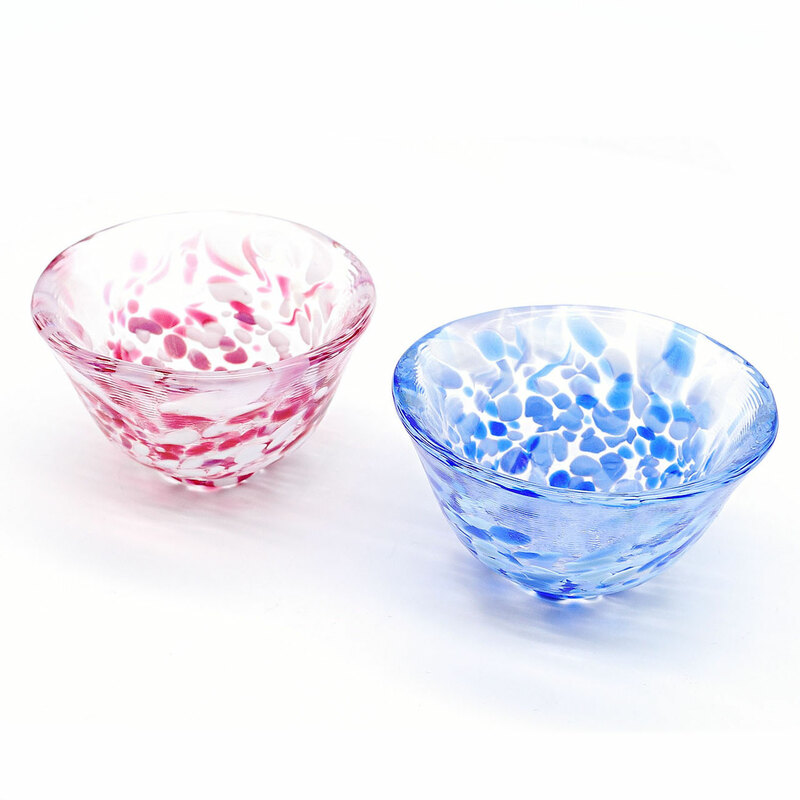 This clear glass sake set with blue gradation dots is carefully handmade by glass artisans in Aomori, Japan. 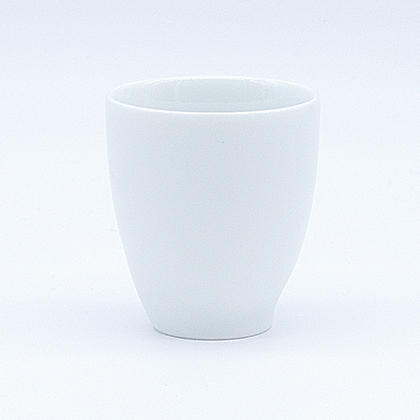 This will make your drink moment more special. 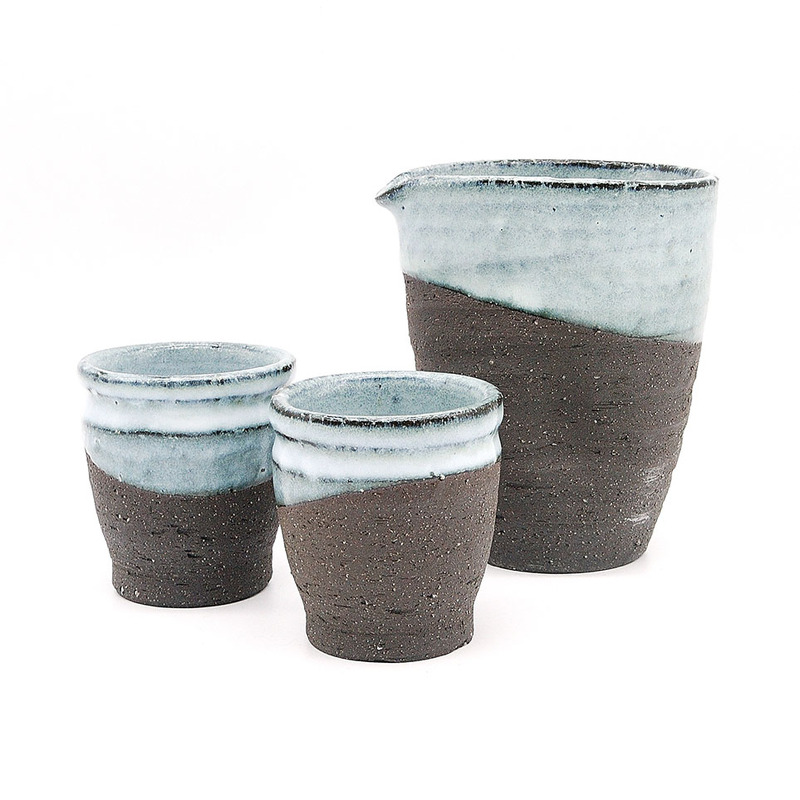 Set of a server and two cups. 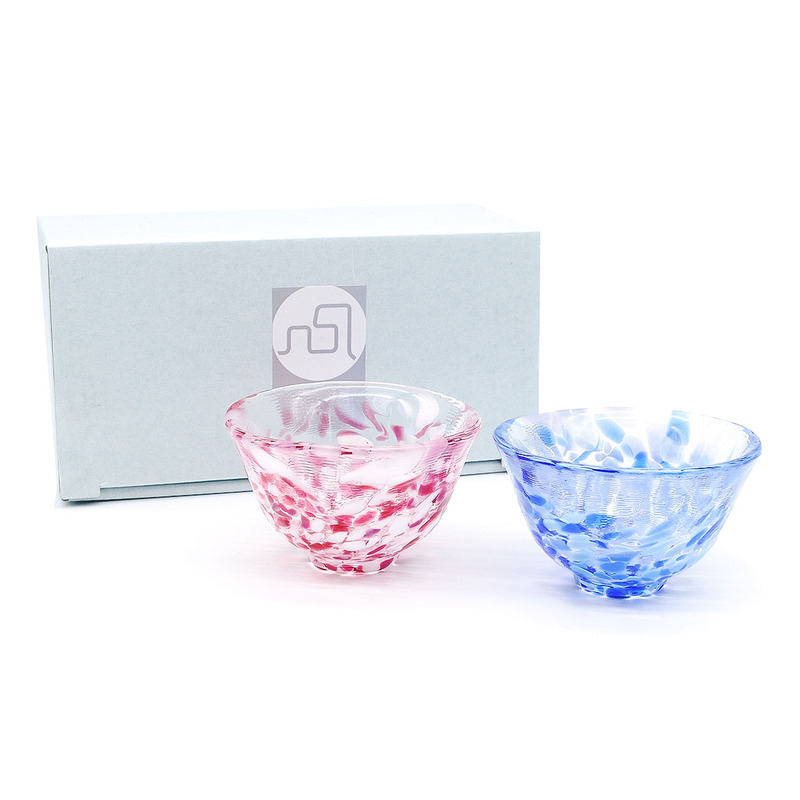 This clear glass sake cup with blue gradation dots is carefully handmade by glass artisans in Aomori, Japan. This will make your drink moment more special. 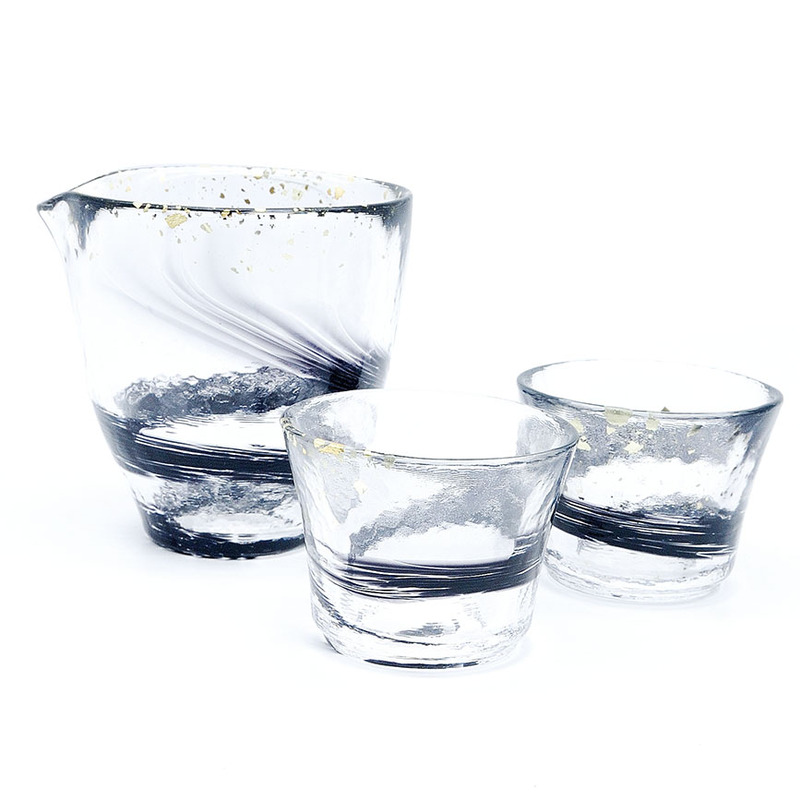 This clear glass sake set with black swirl and tiny real gold leaves are carefully handmade by glass artisans in Aomori, Japan. 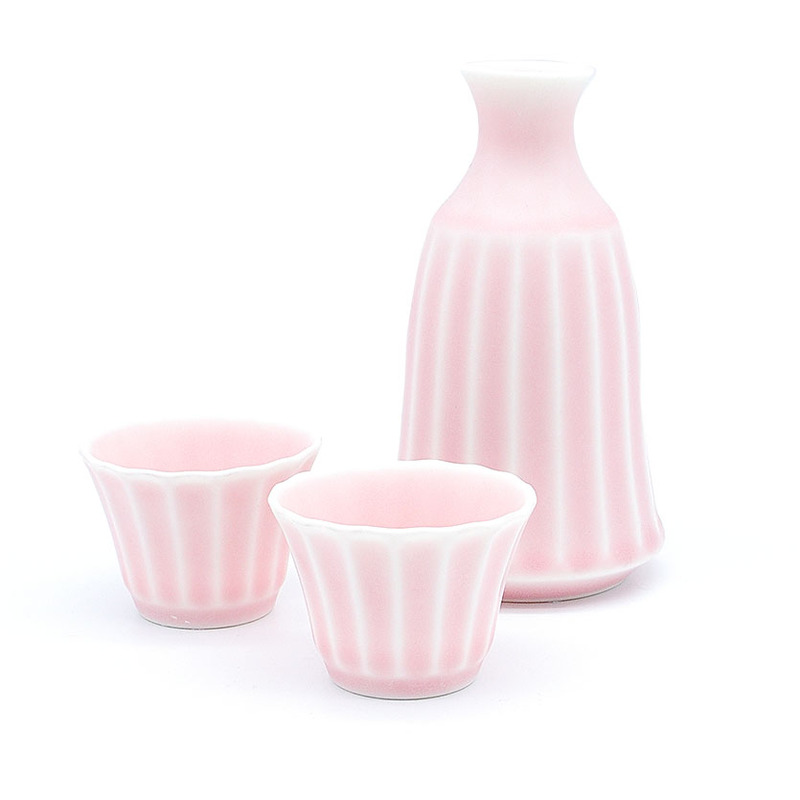 This delicate yet masculine sake set will definitely catch everyone's eyes. 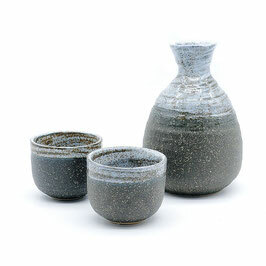 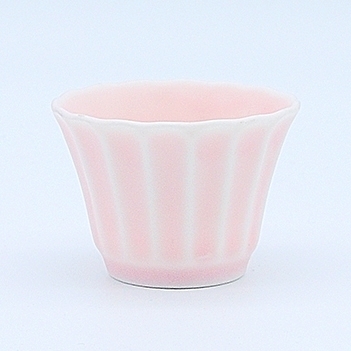 Imagine your favorite sake in this beautiful glassware to be enjoyed in the nights of Spring and Summer. 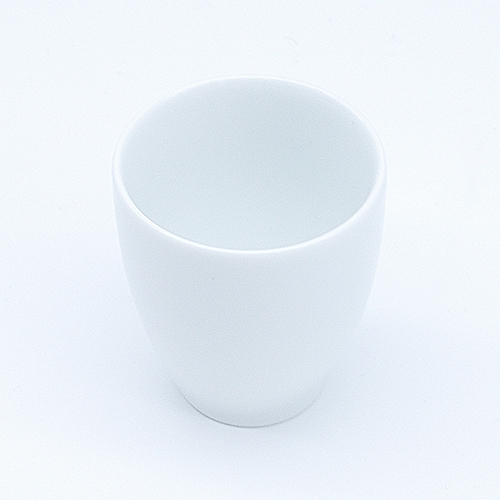 Set of two cups and one server.